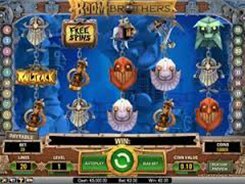 Boom Brothers is an extremely feature-loaded video slot that stands apart for its superb 3D graphics with a steampunk twist, lots of visually rich bells and whistles, great payouts and attention to details. 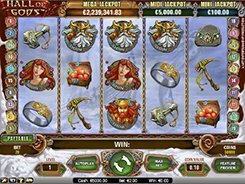 The gameplay takes place over 5 reels and 20 paylines. 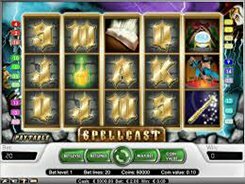 A bet starts at $0.01 and reaches $100 per spin, to suit all budgets and wagering strategies. 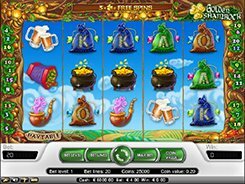 The slot has the Second Chance feature randomly activated after any non-winning spin and triggering one of four features in an attempt to create a winning combo. 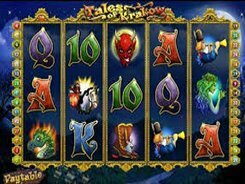 There is also the Railtrack bonus game activated by 5 pieces of track landed on a payline. In the Railtrack bonus the Boom brothers will participate in a race collecting rubies, gold and diamonds. Your award in the feature depends on whichever character wins the race. 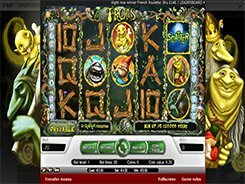 Besides, the slot offers a free spins feature with a randomly awarded number of free spins (up to 50) at a x3 multiplier. 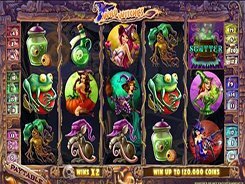 With exciting animated graphics, standout bonuses and a chance to win up to 112,500 coins during free games, this fantastic slot creates a lot of action on every spin.